The snow we recently received is quickly melting and rainy weather is headed our way! Will you have standing water in your yard from melting snow or from heavy rain? 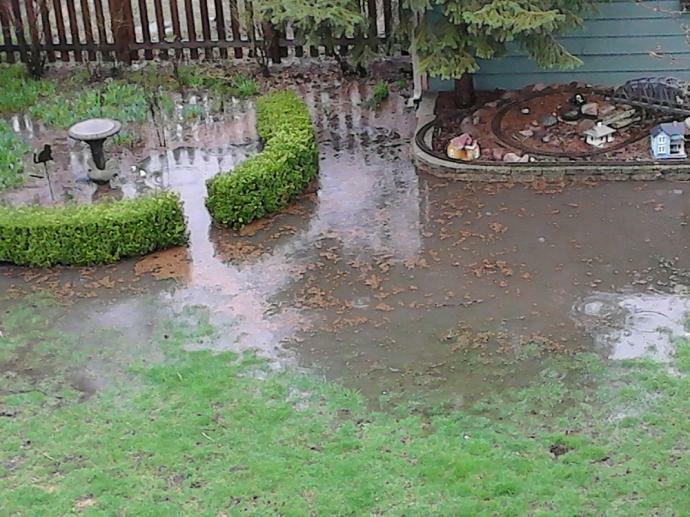 Standing water in your yard is not only an unattractive sight and deprives you full use of your yard, it also can cause extensive damage to the foundation of your home. It can also cause damage to hardscape areas such as walkways, patios, and retaining walls. The repair cost for these excessive damages can be thousands of dollars. Don’t wait till its too late to fix drainage issues! Call Streamline Landscaping today to inquire about a solution to drainage issues and get a Free quote 708-296-4081! We are here to help! ← Snow today but Gone Tomorrow!